A Spectacular Home with 3 levels of spacious living area, surrounded by a large fenced grass backyard, fenced pool with a waterfall feature and a large patio which provides shaded space for entertainment and outdoor dining. This home has 4 bedrooms, & a den. The main level features a large chef's kitchen with a center island & breakfast nook. The elegant formal dining room and living room have vaulted ceilings with a fireplace & large feature windows. The master bedroom, 2 bedrooms and a den are on the upper level, a 4th bedroom, family room and a utility room are on the lower level. 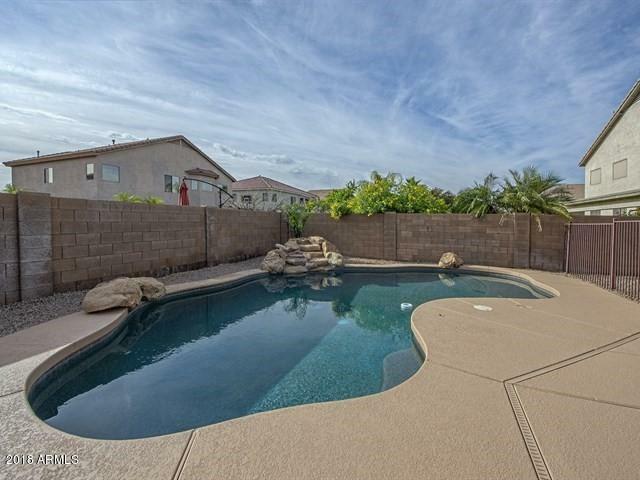 A spacious 3 car garage provides plenty of room for large vehicles.This home is very close to the elementary school and has easy access to the freeway. Perfect for your family!